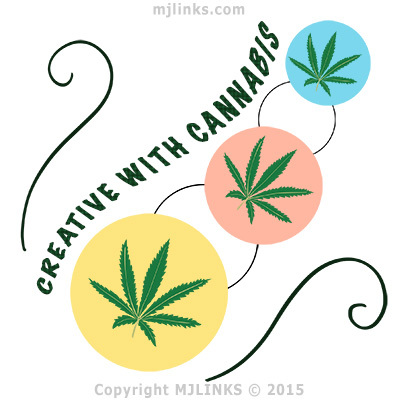 Everyone knows that marijuana works as a catalyst for creativity. It unleashes creativity by bringing down the barriers imposed upon our brain through training. How cannabis achieves this is something that scientists need to work out. However, the manifestation of this phenomenon can be seen in the lives and works of many creative individuals. There have been writers, artists, actors, musicians, and other famous creative people who have been assisted by weed in their quest of the creative spark. In this post, I will just skim the surface and list a few. The sixteenth century writer, poet, and playwright, who even today is considered to be a literary giant, was in all probability, a pot-smoker. According to this Huffington Post article here, smoking pipes that date back to the seventeenth century, have been dug up in the garden of the house where Shakespeare once lived. Nothing surprising here, except the fact that traces of cannabis (among other drugs) have been found upon them. So Shakespeare was born in a world where cannabis farming was not just accepted, but required by law. Salvador Dali’s surrealistic paintings make you wonder whether a person can actually paint all that apparently crazy stuff without sipping the nectar of the gods? Dali never admitted to using any drug though. In fact, he made a somewhat nebulous statement “I don’t do drugs; I am drugs,” which has been interpreted by pro- and ant-marijuana people to suit their own philosophies. Note: If his name doesn’t ring a bell, try recalling a picture of melting clocks – a painting called, “The Persistence of Memory”. Justin Timberlake, the singer/song-writer says, “The only thing pot does for me is it gets me to stop thinking.” Cynics, please wait before you jump to conclusions. In Timberlake’s opinion, his brain needs to be turned off at times. Cannabis-smoking results in a perception of time slowing down, and for some artists, it’s just the thing they need – reduce the speed at which their mind runs, so that they can stop, observe, and create. Paul McCartney of the Beetles fame smoked pot for 48 years. It’s impossible to claim then, that he didn’t write many of his major works while he still was smoking. 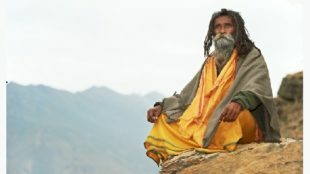 He stopped smoking at the age of 69, after a 48-year run with weed. This also goes to confirm that weed isn’t addictive – it’s a drug of choice. The fans of Stephen King would vouch for his ability to carry you off into the strangest, never-before-explored crevices of the human mind, and make you experience unimaginable horrors. Did his creativity benefit from his love of cannabis? Lady Gaga, the otherworldly looking pop-singer is quite open about her love for marijuana. She admits that it makes her forget that she’s famous, and not only that, it also makes her more creative. In an interview to Anderson Cooper she said, “I smoke a lot of pot when I write music.” She accepts that she tries to cut it down because it’s not good for her voice. Finally, we have an exception, who as they say, proves the general rule. Being creative is great, but becoming the President of the United States isn’t too bad either. In my opinion, either way, you are safe in the company of marijuana.